/ Havanese Vs Shih Tzu: Which One is Right for You? Havanese Vs Shih Tzu: Which One is Right for You? Many people think that owning a new puppy is the same as having a new baby. There is absolutely a lot of truth in that idea. However, there is one major difference that is worth mentioning and it is often that little difference that make it so much fun to have a dog. (I am absolutely not saying that having a new baby is not as much fun, it is just different types of fun. Both are 99 out of the score of 100 points in terms of the fun it can give you.) The fun part that I am talking about is that you can to choose what puppy you are going to get. I know that Havanese is so cute that it has already get your attention. At the same time, you may be comparing it with other similar small dogs. Last time, I have already written about the comparison between Havanese and Maltese. This time, I will talk about Havanese vs. Shih Tzu. It is going to be a short and fun read. Let’s dive in. While most Havanese adults weight between 7 to 13 pounds, Shih Tzu adults roughly weight between 9 to 16 pounds. In terms of height, they generally have the same size. To be honest, it is sometimes a little difficult to tell whether a dog is a Havanese or a Shih Tzu by simply looking at them, that’s especially true when you are looking at a Shih Tzu that has long hair. One subtle difference is the extra short nose and the extra round and big eyes of Shih Tzu which may allow you to separate it from a Havanese. Both Shih Tzu and Havanese have above average intelligence. It’s just that Havanese are generally slightly more intelligent that make them faster learners. Having said that, both are intelligent enough to be trained as watchdogs. It’s actually really nice to have small dogs as watchdogs so you can the best of both worlds: having a cute dog and a touch dog at the same time. Don’t misunderstand though. They can be good watchdogs but they are too small that they cannot be guard dogs. Yet, this is usually good enough for most people. If you enjoy having a dog that is cheerful most of the time and seems to have a high level of energy, Havanese is the better choice. A thing, even a good thing, comes with two sides though. The higher energy also means a high demand of playtime or exercise time. That means you have to spent more time to exercise with your Havanese. Spending more time with your Havanese and doing more exercise are both good things for you in theory. The sad truth is that the theory doesn’t work out for everyone. Some people just hate exercise and just have low level of energy. For that low-energy group of potential dog owners, it may be a better idea to own a Shih Tzu. Having a high energy dog without consistently letting your dog release their energy thru exercise is simply a irresponsible act that you should avoid. As you may be able to from the name Shih Tzu, their origin is China. On the other hand, Havanese’s origin is Cuba. Havanese is also officially the national dog of Cuba. But how does origin matter when it comes to choosing which dog breed to own? Well, there are all sorts of dog owners. Some of them love stories. And among those story lovers, some may like the China culture more while the rest love the Cuba culture more. There is absolutely nothing wrong with loving something because of the story behind it. In fact, it is human nature to love stories. If you like to read about psychology, you may have heard of the twaddle tendency of human mind. That is basically saying that our minds have a strong tendency to get attracted to unimportant yet interesting stories. You don’t have to avoid that human mind flaw if you don’t want to. 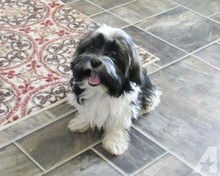 Just make sure that you actually love and take care of your Havanese or Shih Tzu and not just love the story only. Both Havanese and Shih Tzu are considered to be dogs that hate to be alone. By comparison, Shih Tzu is slightly more independent while Havanese is more attention demanding. The difference is not that obvious generally speaking. A little earlier, I have mentioned that Havanese has a higher level of energy. Let me give you a good estimate or rough guideline of how much exercise you need to give your dogs. If you own a Havanese, it is recommended to have a 30 to 45 minute walk with your Havanese daily. It is even better if you can have a 2-hour hike with your Havanese every week or every other week. In the case of Shih Tzu, having a roughly 15 to 20 minute walk with them daily should work really well. You will know when your dogs have to much left over energy. They have too much energy left over when you see them messing up your home more than usual. They are simply looking for ways to spend their excessive left-over energy. For those of you who can easily get allergy attack due to pets, the good news is that both Havanese and Shih Tzu are considered as hypoallergenic dog breeds, meaning they have a lower chance of causing your allergic attack. In generally, Havanese and Shih Tzus are very similar. The biggest difference is that Havanese has a higher level of energy which make them require more exercise. Therefore, if you like their appearance roughly equally, the determining factor of while you should own a Havanese or a Shih Tzu is to see if you want to spend more time exercising with your dog or not.